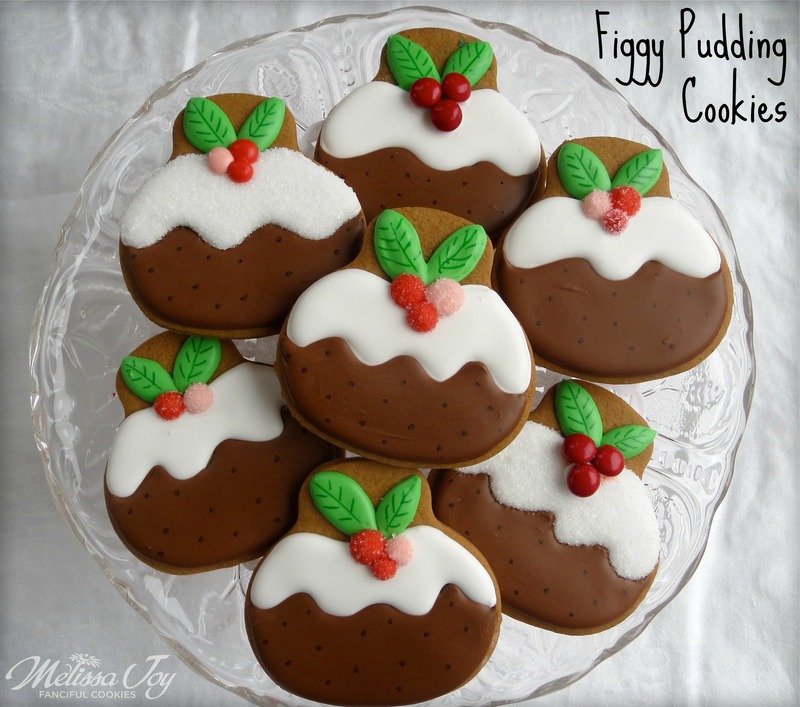 I have never eaten figgy pudding, nor do I exactly know what it is. I know the Muppets sang about it. Does that count? 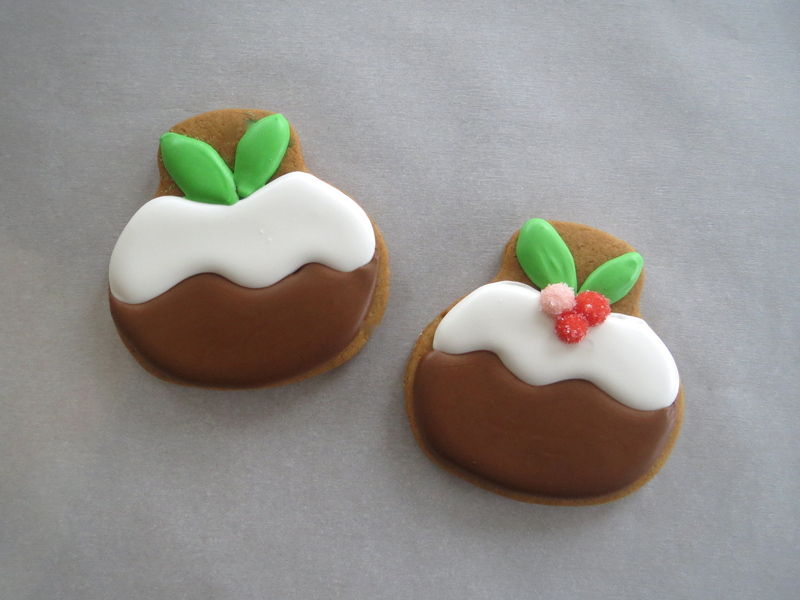 All I know is that I wanted to make a cookie version when I came across some darling felt figgy pudding ornaments on Pinterest. 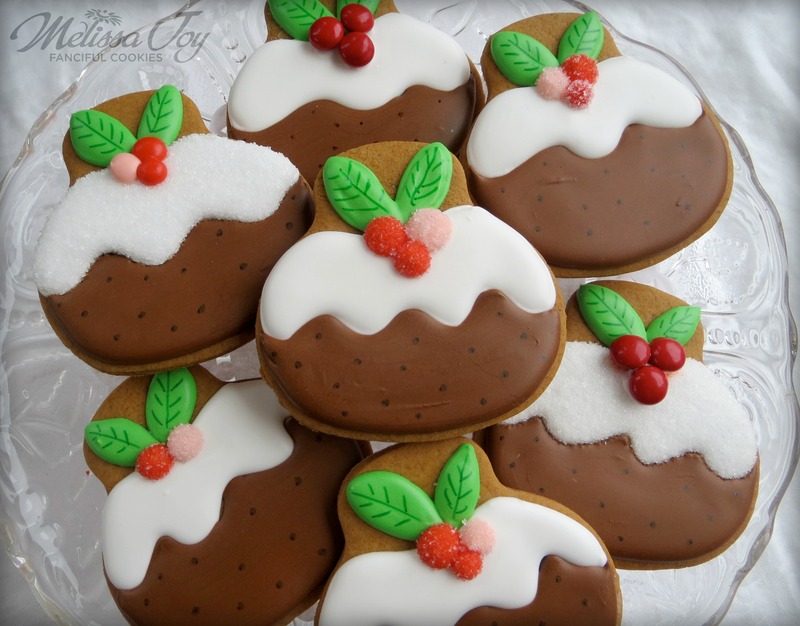 To clarify, these are cookies that look like figgy pudding, not taste like it. 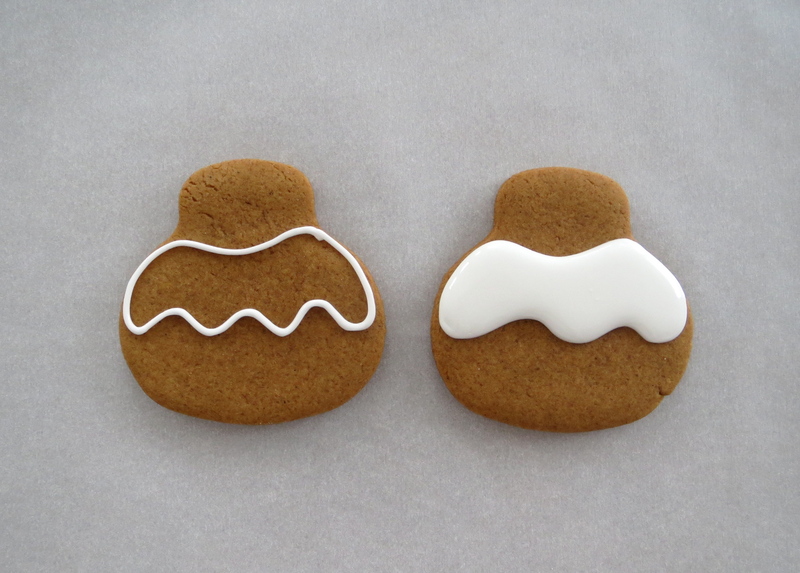 They are soft gingerbread. 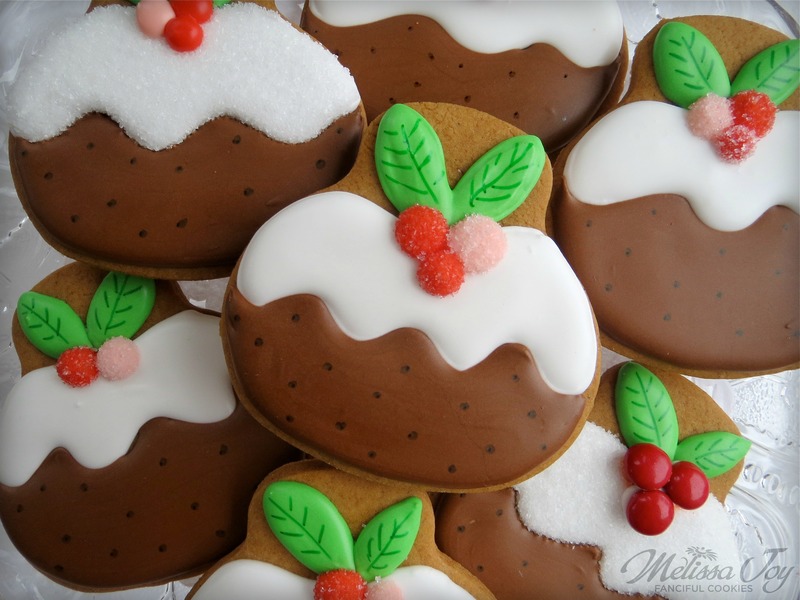 Mmmmm, gingerbread….does figgy pudding taste like gingerbread? 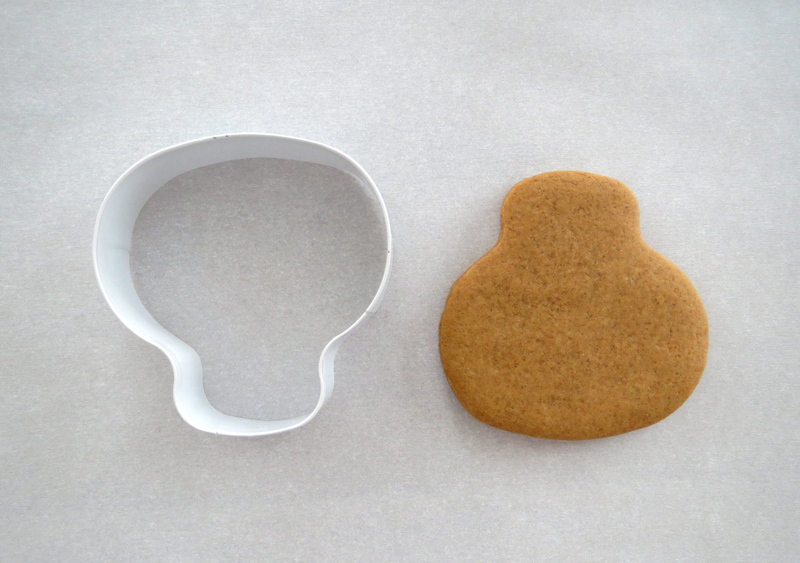 It’s a simple design that started with a skull cutter, which a cookie friend insisted I own. Why own this cutter? Because it’s so darn versatile! It can make figgy pudding cookies! Who knew! Well, she probably knew…she’s amazing like that. First outline and flood the icing portion of the pudding. 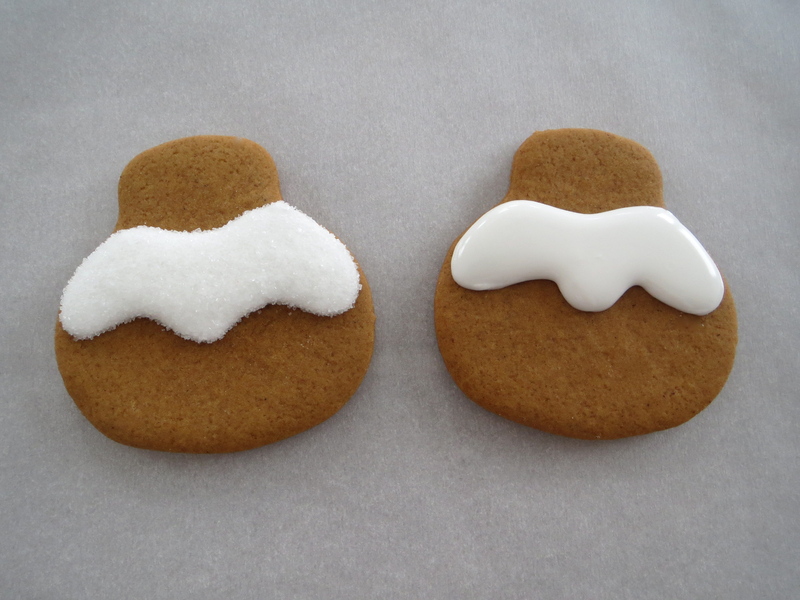 I didn’t know which I’d like better; a sanding sugar version or a non-sugared version, so I did both. You should add the sanding sugar while the icing is still wet, if you go that route. But then I realized I could make things even easier by using red M&M’s. I used minis here because I had them in the pantry. Adhere them with icing and you’ve got instant decoration. Gumdrops would also be an excellent choice for berries because of their sparkle, and who wouldn’t love a little sparkle with their Christmas pudding! I finished up the detailing with my trusty FooDoodlers. Now, how easy is that?! Do you partake in figgy pudding? Or Christmas pudding? Are they the same thing? Man, I better do my baking homework…right after I eat a few these. 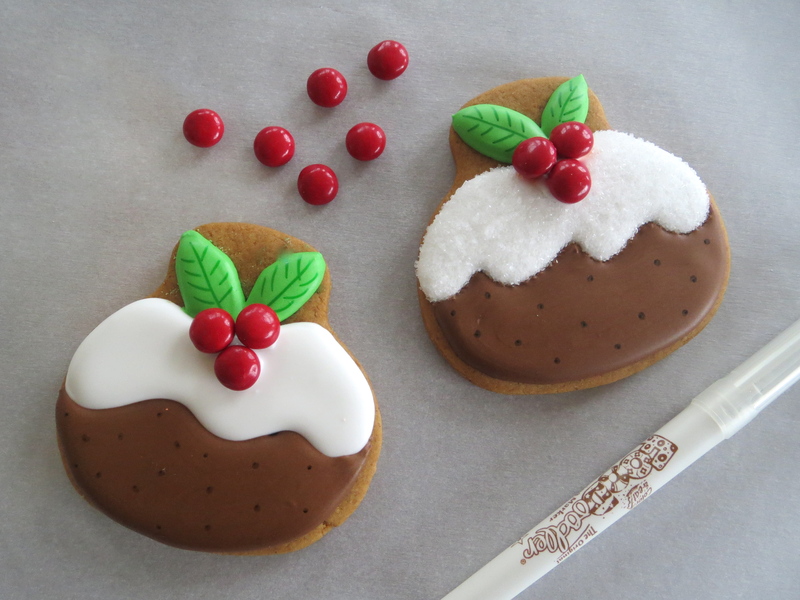 This entry was posted in Christmas Cookies, Cookie Tutorials, Holiday Cookies and tagged Christmas, christmas pudding, figgy pudding, gingerbread. Bookmark the permalink. I love everything about these cookies, including their ease! You definitely know how to do CUTE! Love them! Wow! Thanks for sharing with me!!! I had no idea. Sounds interesting…it can’t go wrong with brandy and rum, right? 😉 Happy new year to you as well!